← Remake The Black Hole! 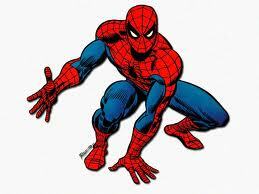 Marvel is celebrating the 50th birthday of their flagship superhero Spider-Man. He’s come a long way since appearing on the last issue of a failing science fiction comic book, but the minute he was introduced in Amazing Fantasy # 15, he became a sensation. Helping to usher in the so-called Marvel Age of Comics, Spider-Man was and is still Marvel’s most popular and iconic superhero. Over the years, our favorite Wall-Crawler has seen his highs and lows when it came to his storylines. There are too many to go through here, so let’s just highlight some aspects of them. A hallmark of Spider-Man stories are those where he faces incredibly tough situations or foes. What makes them so special is that Spidey isn’t the most powerful superhero, he can’t shoot beams out of his hands, he can’t even fly. This makes him more relatable to us and is one of the reasons why he is so popular. He’s had to go up against villains that clearly outranked him in power and how he perseveres against them gave us some of the most exciting and hand-wringing stories. 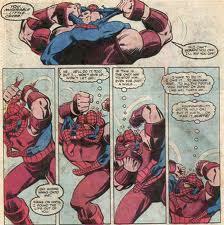 Who can forget that two-issue battle against the Juggernaut (The Amazing Spider-Man # 229-230)? Spidey fought this desperate battle against someone who could take on the Hulk. The Wall-Crawler tried everything but couldn’t make a dent against Juggernaut. Still, he wouldn’t give up, and somehow he stopped the Juggernaut by luring him into a bed of wet cement. Then there was his battle with the former Galactus herald Firelord (The Amazing Spider-Man # 269-270), where he shocked the late-arriving Avengers with his sheer will power as he managed to knock out Firelord. But the best story that showed how determined Spider-Man can be was in the classic comic book The Amazing Spider-Man # 33. In the previous issue, he fought against Doctor Octopus at an underwater base and was left partially buried under tons of rubble and debris with water flooding. Meanwhile, inches away lay a canister containing a cure for his Aunt May’s latest ailment. He spent most of the issue struggling to free himself but failing. He berated himself, resigned to failure. But he couldn’t accept defeat not with his aunt’s life on the line. Spider-Man motivated himself and carefully maneuvered his body to free himself just in time. 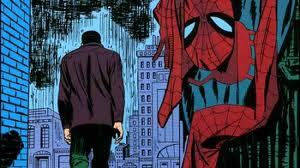 It was the most dramatic moment seen in a Spider-Man story and copied by others. Ever since the very first issue of The Amazing Spider-Man, our favorite Web-Head was shown to be an integral part of the Marvel Universe. In the first issue, Spider-Man tried to join the Fantastic Four and ever since, he has butted heads and teamed up with Marvel’s rich roster of superheroes. Some were interesting in that he had unusual pair ups (Howard the Duck, Frankenstein’s Monster, the John Belushi-era Saturday Night Live cast and even Superman in the classic cross-company story Superman Vs. The Amazing Spider-Man) or Spidey was way out of his element (Spider-Man Vs. Wolverine one-shot and Marvel Team-Up # 41-46 where Spidey time travels from the past and into the future). The most natural friendship he’s had has been with Johnny Storm, the Human Torch. The two heroes tended to behave like college roommates and ranked on each other. Some of their best meetings included the Christmas-themed Marvel Team-Up # 1, Spider-Man/Human Torch #1-5,and most recently with FF # 17. The latter was a hilarious tribute to mismatched buddy comedies like The Odd Couple and Two And A Half Men, where Parker and Storm briefly live together with the expected disastrous results. 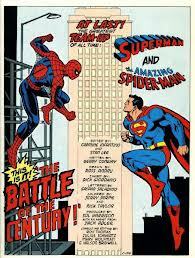 But Spidey’s best team-up stories were in J.M. DeMatteis’ run in Marvel Team-Up #111,112, 114-125, 126-133. In those comics, DeMatteis showcased his writing chops with fun, thoughtful, amusing and sometimes poignant yarns that were able to touch a reader’s soul (Marvel Team-Up #119, 120, 127). The best part is that these issues can be found relatively cheap in comic bins. Throughout his life, Spider-Man (a.k.a. Peter Parker) has faced the burden of responsibility. This was hammered home to him with his first appearance in Amazing Fantasy # 15. As fans know, Parker developed an inflated ego thanks to his celebrity appearances as Spider-Man. One day after a studio shoot he refused to help a guard stop a burglar but wound up paying for his inaction. His beloved Uncle Ben is later killed by the same burglar and Parker spends the rest of his days blaming himself for the death. 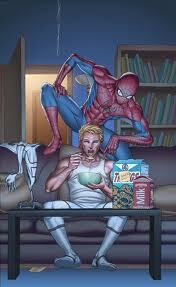 It became evident that his responsibility to being Spider-Man interfered with his happiness. 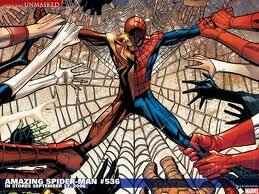 Parker was ostracized socially because of his web-slinging commitments. There were many times that he had to stand up a date and have a woman or friend mad at him because he was busy fighting Doctor Octopus or some other villain. Often, he felt unappreciated for his efforts as Spider-Man. It got so bad that Peter Parker quit being Spider-Man in the classic story “Spider-Man No More (The Amazing Spider-Man # 50); but by the end of that issue, he felt obliged to don the costume again. But this wasn’t the first time he hung up his costume. Way back in The Amazing Spider-Man # 18, Parker was guilt ridden about not being around for Aunt May when she got sick while he was fighting the Green Goblin. This guilt, plus the public hazing his superhero persona received for running out on fight, led him to throwing his costume in the garbage. It later took a pep talk from his aunt about not being a quitter to make him realize how rash he was behaving. More recently, Spidey felt responsible for the creation of his nemesis Venom. In the company-wide event the Secret Wars, Spider-Man first donned his now-famous black costume on another world after his traditional one was torn. After bringing it back to Earth, he discovered it was alive and discarded it. But the story didn’t end there. In The Amazing Spider-Man # 300 he discovered that the costume bonded with a rival that hated Peter Parker and so Venom was born. Needless to say, every evil action done by Venom, Spidey felt partly guilty. For modern fans, Peter Parker’s sense of responsibility was put to the test in the Civil War Marvel event. His involvement in that conflict was covered in The Amazing Spiderman # 529-538 and he was coerced by Iron Man to reveal his true identity to the public. Parker did this because he wanted to show support for Iron Man’s cause of superhero registration. But the way the conflict was carried out by Iron Man’s team led him to rethink his position and he switched sides. Ultimately, the consequences of his role in the Civil War was that he was largely cut off from the superhero community and his aunt nearly lost her life. This in turn led him to making the huge sacrifice of giving up his marriage in a deal struck with the demonic Mephisto to save May’s life. In 1982 Roger Stern wrote one of the most beautiful story arcs I’ve ever read. It is rather short (it starts in Amazing Spider Man 226 and ends in the following issue), but every single panel of it is pure awesomeness. Spider Man and Black Cat were the leading characters of that arc. In that period Spidey had started to become more and more similar to Batman: the series passed from a sunny setting to a dark one, Peter started to cooperate with a female version of Commissioner Gordon (Jean De Wolff), and, most of all, he developed a detective approach he never had before. His relationship with Black Cat was a part of this project: Black Cat is Marvel’s Catwoman, so the affair between her and Peter deliberately reminded of the one between Batman and Catwoman. This magic period ended with the death of Jean De Wolff. She is one of the Spider Man characters who should have been employed more and in a far better way, along with Eddie Brock, Cletus Kasady, Betty Brant and so on. “The Death of Jean De Wolff” was one of the best Spider-Man stories ever done and helped make a name for writer Peter David. Good observations.